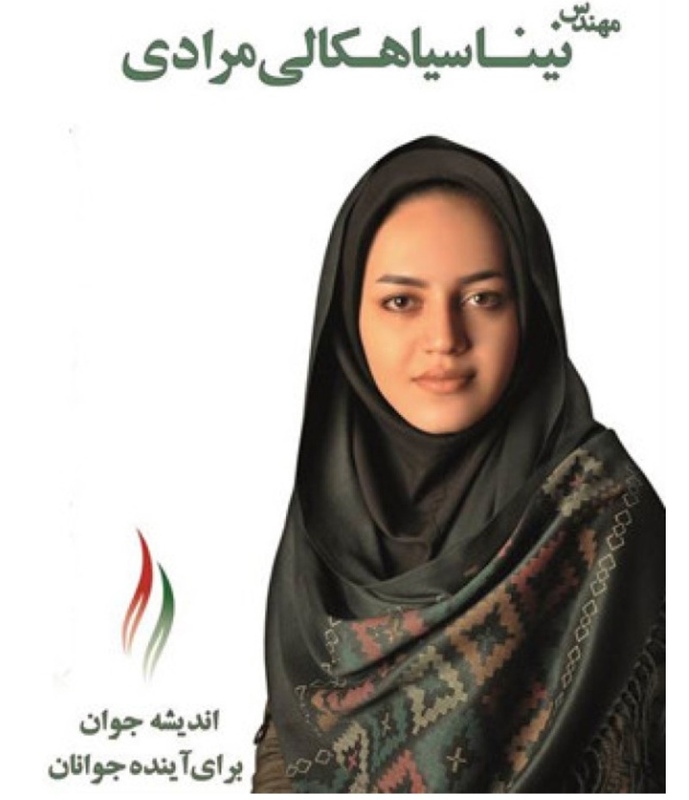 Numerous news outlets are carrying the interesting story of Nina Moradi who was disqualified after being elected for a seat in Qazvin city council by more than 100,000 votes (1,2). The IR likes to keeps its options open when it comes to "democratic" elections, they can disqualify candidates before the elections, during the elections, and if necessary, after the elections. Apparently the old mullahs at the city council found Ms. Moradi too attractive to work with. Their faith appears to be too weak to withstand the insurmountable challenge Ms Moradi's beauty posses! She is not that much of a beauty. Must have rejected some mullah's advances. Most Iranian women are nicer looking than her, with or without a nose job. Sort'a like characterizing our American electoral system by Senator McConnell's views of potential candidate Ashley Judd. YOU have brought this story too late !! McConnel can express a view but cannot disqualify a potential female candidate based on her look. is this really the case? You have to remember people in Iran are extremely shallow and materialistic. It won't shock me if all men voting for her , did so because she is young and pretty. @-IS there any sound evidence from the council that SHE was disqualified because of her appearance ?. @-seemed that the western media was desperate to find some fault in the smooth election And that after the disappointment ,they settled on this bogus story. You must be talking about California! In America, the qualifications for candidates are written down and are open to the public to see. But, of course, spewing specious untruth is what you usually do, so this wad of swamp gas is sorta just what you're all about. The Orthodox Jews are as mad as the fanatic Muslims and rabid fanatic Christians, so this is not argument. May your "almighty" bless you with some logic ! no, I was talking about Iran. Have you been to Iran? A lot of people in Iran are extremely shallow. They love nose jobs and I don't doubt for a second that many people voted for her , just because she is pretty. your comments aren't worth hiding because they aren't particularly impressive. this particular comment isn't anything impressive either. there is no "Cuomo dynasty" and remarks by Andrew Cuomo do not equate to government repression, unlike the Iranian actions of simply not allowing women to run in elections, both in this case and in the elections for president. it's only fools and fanboys who seek to make these lame and worthless attempts at an equivalency that doesn't exist. That ain't you...that's your 'Ogdeh', speaking. If you aren't a fool (you use that kind description in your reasoning), so you have to be a puppet or one of the "authors", who is not courageous enogh to provide his real name. You even have no courage to provide your initials. It would be better for you to explain why you are silent (not present with your "opinions") when major "preachers" of this blog had preached such nonsenses as that "Russia has thrown Assad under bus" or that Rafsanjani means that "We are not at war with israel" as well as that last election's results were a "protest against irresponsible policies of the Islamic Republic of Iran." Why were you silent when your preacher called for double standards "to come to the terms with the West" and on the other hand he avoids at present time to express his opinion about Iranian rights to the PG islands or about the Egyptian coup and massacres, supported by his Zionist and Western friends. You say that my comments are not particularly impressive, and I can inform you that I am not to willing to share my secrets with guys on this blog who use to make money by selling secrets.. There is another method of censorship by suspending particular article with its comments for longer number of days from public view...(read past articles and you can learn something, if you are not a fool or an author). Finally, why are you afraid to sign your comments, is it that they would support nonsenses of your preacher on this blog? Try to comment on my comments at the August 17's articles...if yiou have any impressive information. that was quite a long-winded pile of pule and without anything even reasonable, let alone impressive. I'm neither puppet nor fearful. you remain someone with a problem with a locus not external.